So when the invitation came to join a grappa tour in Italy, I hesitated. But only for a moment. The image of Italy in May could make up for my indifference to the spirit that is taken by old Italian men in their morning coffee to get their creaky joints articulating. I had seen those old men many times lined up at the Extra Bar near the bus stop in Camucia below the walls of the Tuscan town where I spend a lot of time. The coffee arrives, an index finger is lifted, and without a word being spoken, a glug of clear grappa disappears into the tiny cup. In the end, according to my observations, it’s about half grappa and half very strong, very black, very murky brew. 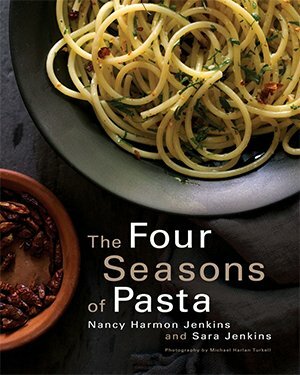 But the Italian charm was working strongly—Italy in May? Grappa be damned, of course I could do it. And in the end, I found myself charmed by the grappa too. And converted willynilly into a true believer. 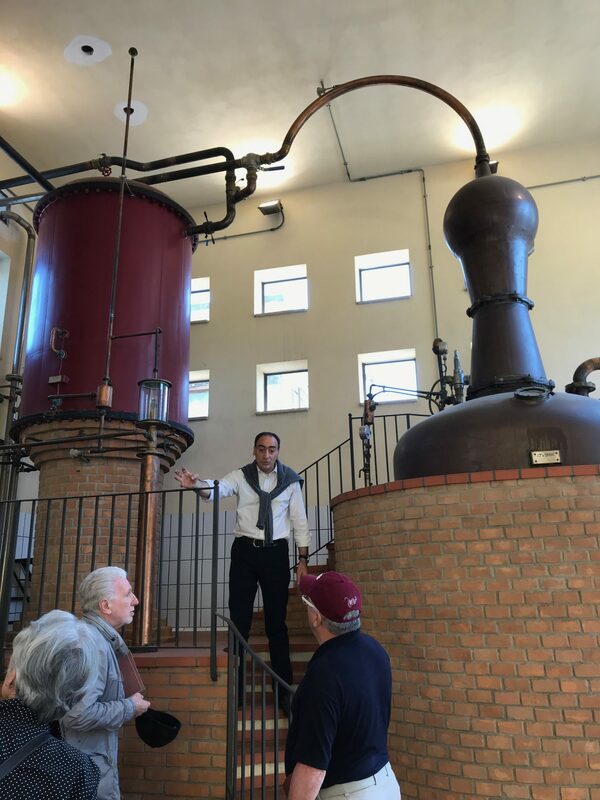 The tour was organized by a group called “Hello Grappa!” with the specific intent of re-formulating grappa’s unfortunate image, which is on a par with those stinky Italian cigars called toscanos. I’m still not ready for a Tuscan stogie but bring on the grappa, I say now, and I offer it as an after-dinner drink without parallel. In smaller quantities, of course, than what I consumed back in my twenties in New York. Grappa has, like me, a long, deep history in Italy (grappa’s history being a good deal longer than mine). It’s characteristic of the Italian approach to all things to do with the table. Which is, basically: Use it up! All of it! Grappa is simply a way of using up the dregs of wine-making, the thick mass of skins, seeds, and pulp left over after pressing the grapes for wine, the vinacce. Generations ago, someone figured out that all that sticky, fermenting Stuff could be turned through alchemy into a heady intoxicant that, when handled carefully, still retains some of its characteristic grapey aromas and flavors. The distilling process, which is ancient, uses heat to evaporate the volatile elements in the vinacce, then recaptures the essence by condensing the steam into liquid again. But much less liquid, and much higher in alcohol. 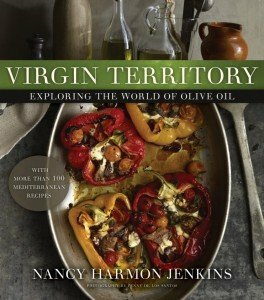 This is not unique to Italy. Marc is a similar product from France, best known as marc de bourgogne, distilled from the pomace of Burgundy wines. And some years ago I climbed a track through dense forest on the Greek island of Ikaria in search of a celebrated and almost certainly illegal distiller of tsikoudia. Just like grappa, just like marc, tsoukoudia is made from the leftovers of wine-making, pomace or vinacce, only in the case of the Ikarian version, the pomace is left to ferment for a while, which gives it a distinctively funky flavor to go with the frisson of the secret still–mountain moonshine at its best. 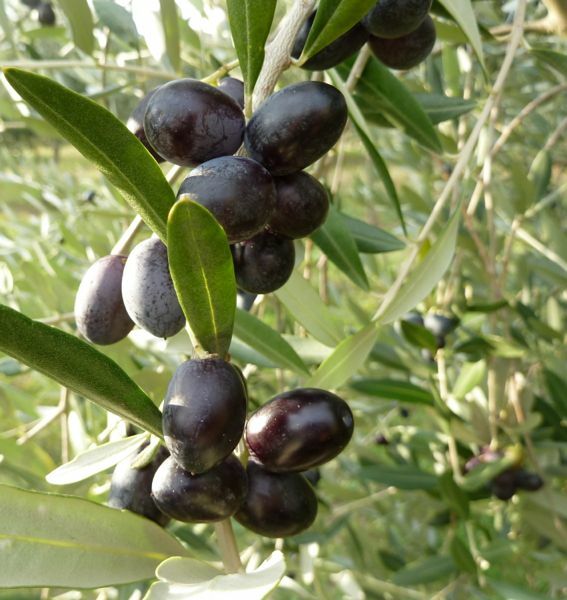 All over the Mediterranean, it would seem, those who made wine also made grappa or its equivalent. Grappa itself, people like to say, began in Italy’s northeast, originating in the town of Bassano del Grappa in the Veneto. It’s a pretty conceit but in fact grappa is a constant in the countryside throughout central and northern Italy, though maybe less so in the south where a warmer climate means it’s not necessary to get sluggish winter blood flowing with a morning jolt of alcohol. But it was always a humble, rural drink, one consumed by working men and farmers, even as it was given to their children when they started the long walk to school on a January morning. Humble, however, has a way of turning into trendy, especially in Italy. Like cornmeal polenta, like farro (aka emmer or einkorn, ancient varieties of durum wheat), which went from staples of poor farmhouse tables to culinary stardom in the space of a couple of decades, grappa too is on the brink of becoming the hip drink of right now. Once not too long ago, every farmer who made wine, and almost every farmer did so, also made grappa. Or had it made for him. 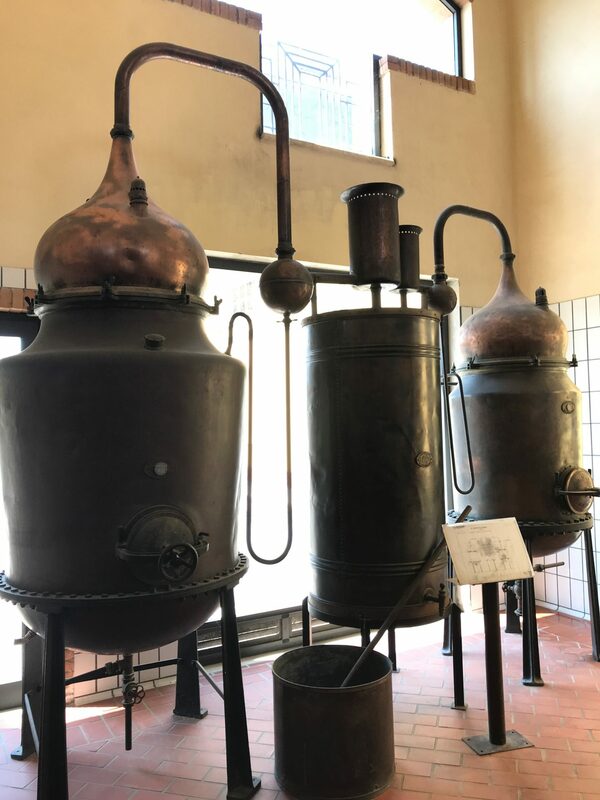 Carla Bonollo, who represents her family’s Bonollo Distilleria, in Tuscany’s Siena province, told me that in the period after World War II (“the Dopoguerra” in Italian) there were as many as a dozen legal distilleries in each of the Tuscan towns of Arezzo, Siena, and Florence. 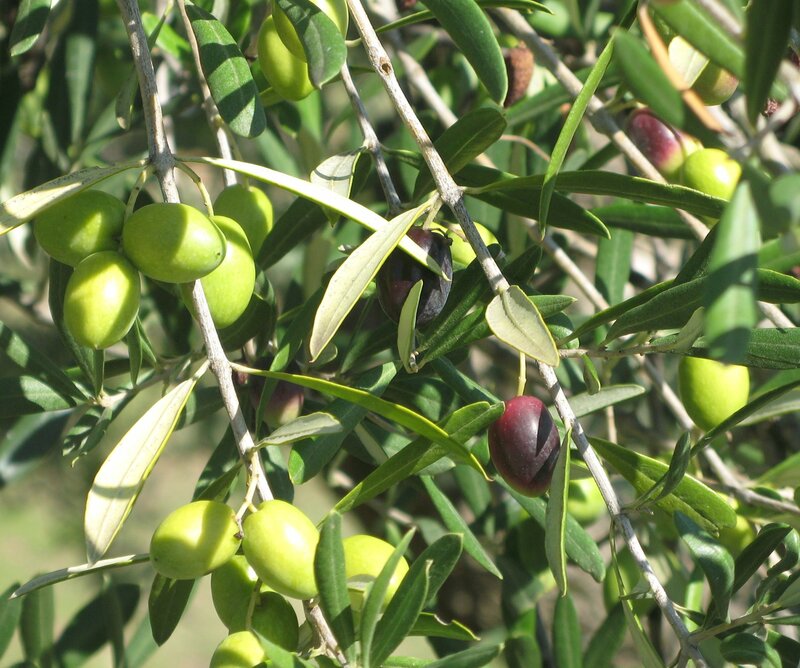 “Farmers brought in their vinacce to have it distilled into grappa,” she said. There were also traveling stills, like the traveling porchetta wagons that we see at fairs and street markets. The mobile distilleries went from farm to farm during the season, diligently transforming the waste of the winery into something more exalted. Nowadays there are perhaps 140 legal distilleries left in the entire country and the whole process is very tightly controlled by regional governments. At Bonollo, for instance, thin wires were crisscrossed over the casks in which the grappa was stored; sealed with lead stamps, they were placed there by officialdom, not to be removed except under officialdom’s eagle eye. As in most countries in the world, production of alcohol is a source of government revenue—and it can be considerable at times. Bonollo is very much a family affair, like Mazzetti, another distillery we visited in the Monferrato area of Piemonte, and like Nonino, a renowned distillery in Friuli where I spent time a few years ago. Giannola Nonino, the mother superior of the family distillery, is credited with putting grappa on the tables of discerning consumers when, with her husband Benito, she began producing monovarietal grappas made from single variety grapes, the most famous being one made from local picolit. Others followed suit and today most of the top distilleries produce monovarietals, including grappa di moscato, di barolo, and even a grappa di frappato from Sicily. But the bulk of production comes from carefully crafted grappas made from blends of different vinacce from different vineyards. Top wineries in all these regions send their pomace to trusted distilleries. 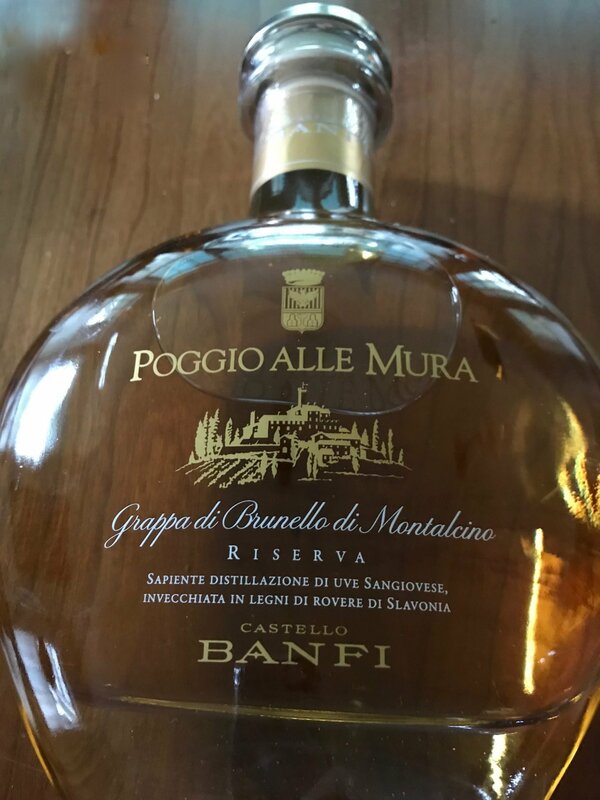 Banfi, for instance, one of the largest vineyards in the Brunello di Montalcino zone, sends its vinacce to Bonollo, which produces, among other Banfi grappas, a splendid Poggio alle Mura, made exclusively from the residue of sangiovese grapes after pressing the winery’s most prestigious wine. 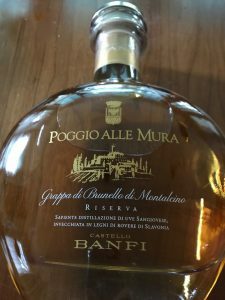 High-end grappas like Poggio alle Mura are often aged, in this case for 18 months in Slavonian oak. 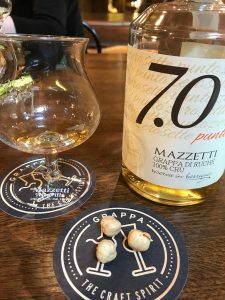 Much of the boost in grappa’s over-all quality has come about, just as it has with Italian wines, through tighter controls of production techniques. In the 19thcentury, a new system called continuous distillation produced grappa more quickly and efficiently. Inevitably, it was also of lower quality. But modern producers of high-end, so-called artisanal grappas have gone back to the old-fashioned, classic method of discontinuous distilling, slowing the whole process down, then double distilling the heart of the grappa, and controlling temperatures throughout the process, resulting in grappas with more of the individual flavors and aromas of the distillates. 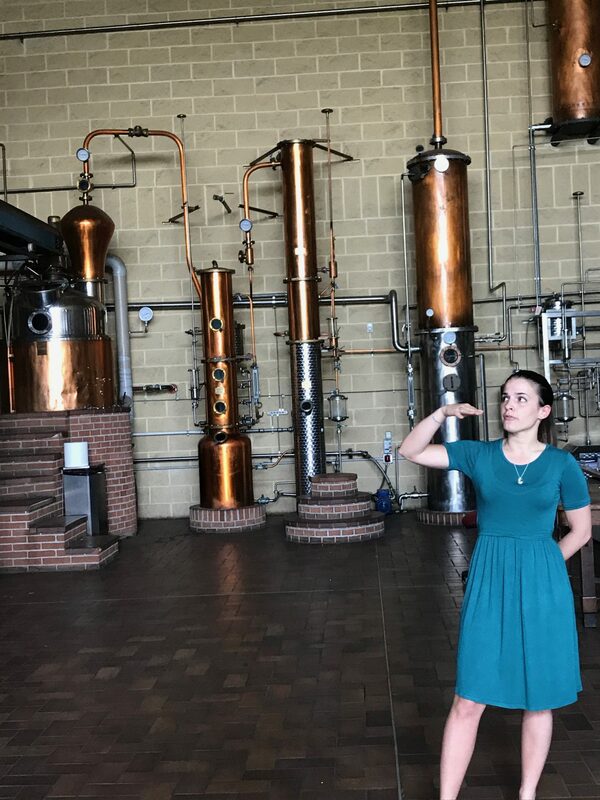 she explained, “you get about two and a half liters of grappa.” By working in a vacuum, she said, they are able to lower temperatures to extract more of the aromatic esters that characterize the vinacce. 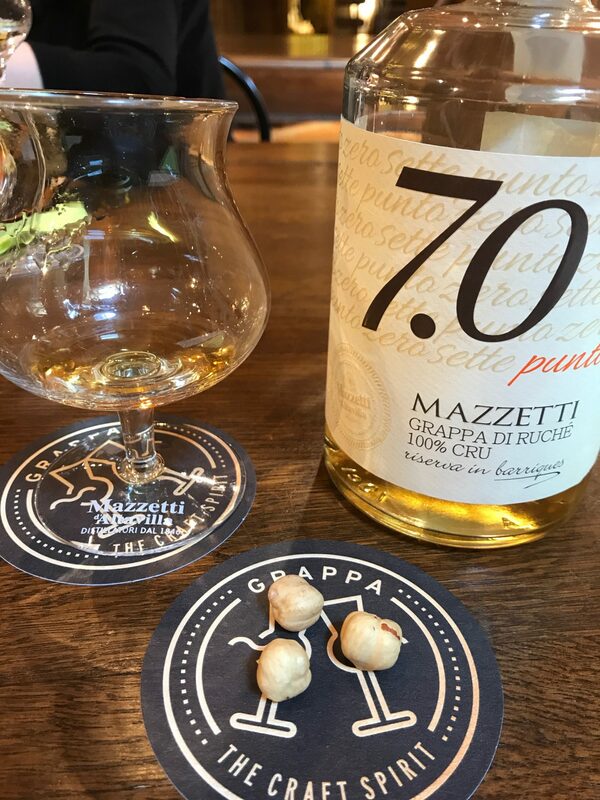 Much of Mazzetti’s grappa is aged, French oak barriques being preferred, although they are experimenting with a system similar to that used in aceto balsamico, a battery of barrels, diminishing in size, each made from a different wood. As the grappa is transferred from barrel to barrel over time, the flavors intensify enormously and the quantity also decreases–from 100 liters of grappa at the beginning of the battery to ten precious liters at the end. So what should a wise consumer be looking for in tasting grappa? Certainly not the harsh hit of alcohol that I experienced such a long time ago. That kind of grappa still exists (and is still being glugged into the old guys’ morning coffees at the Extra Bar in Camucia) but modern grappas have both an appealing softness on the palate and much greater nuances in their sensory profiles, with aromas and flavors that can recall everything from tobacco and dried fruits (apricots, especially) to nuts (think roasted hazelnuts) to dark, bitter chocolate to the sweetness of honey or even, surprisingly, of maple syrup. A grappa giovane, unaged, may be redolent of the grape variety used, but an aged grappa takes on many of these more subtle tones. It’s an after-dinner drink par excellence, a digestif, a way of prolonging conversation and company in the most appealing fashion. As Bruno Cerretto, maker of top-ranked Barolos and Barbarescos, told me after an epic Italian Sunday lunch a long time ago, “Coffee kills the wine, but grappa kills the coffee.” It was a vote of approval for the leisurely progression, from aperitif to wine to coffee to grappa, a summation of what it truly means to dine all’italiana.